South of Shaw Lane the line of the canal has largely disappeared for the next mile and a half. 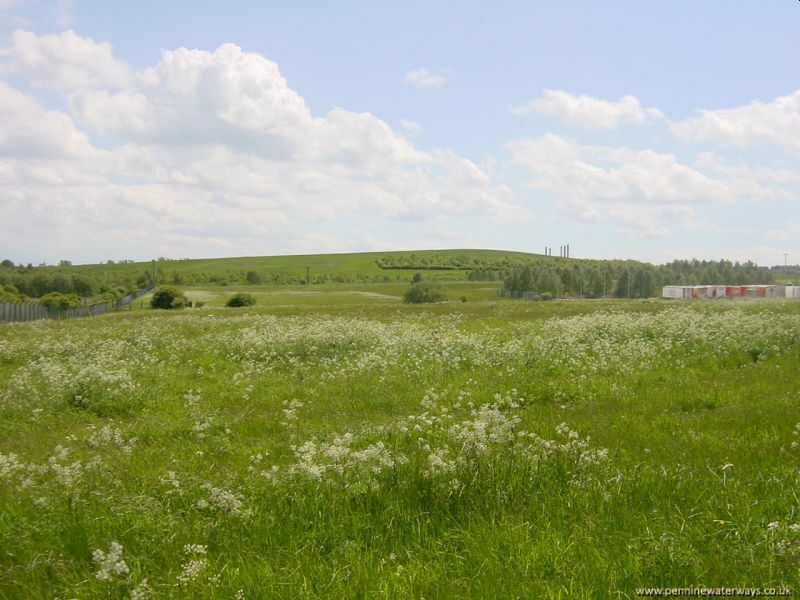 The land has been "re-claimed" and re-shaped using coal spoil from the extensive coal workings in the area. The line of the canal swung to the right here and then to the left, through where the hill now is. Beyond the hill this depression runs approximately along the former line of the canal. 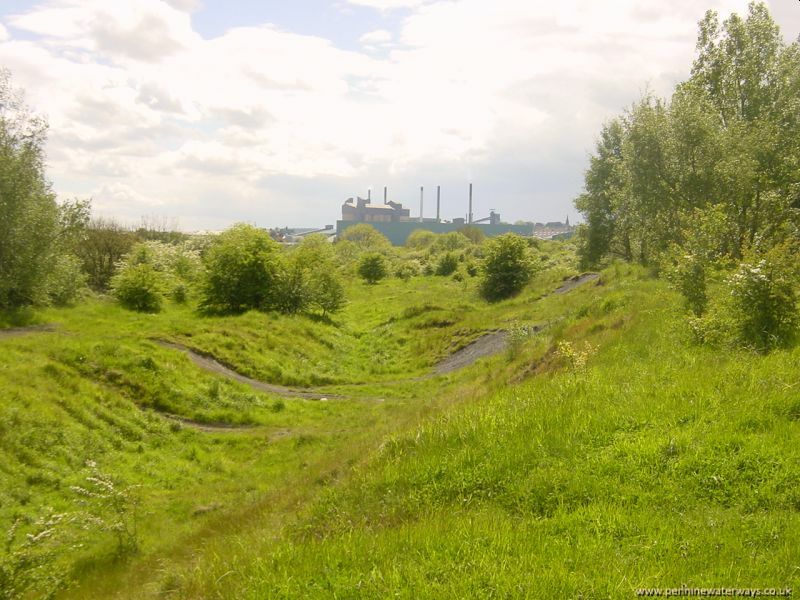 Carlton Main Colliery was close to here. 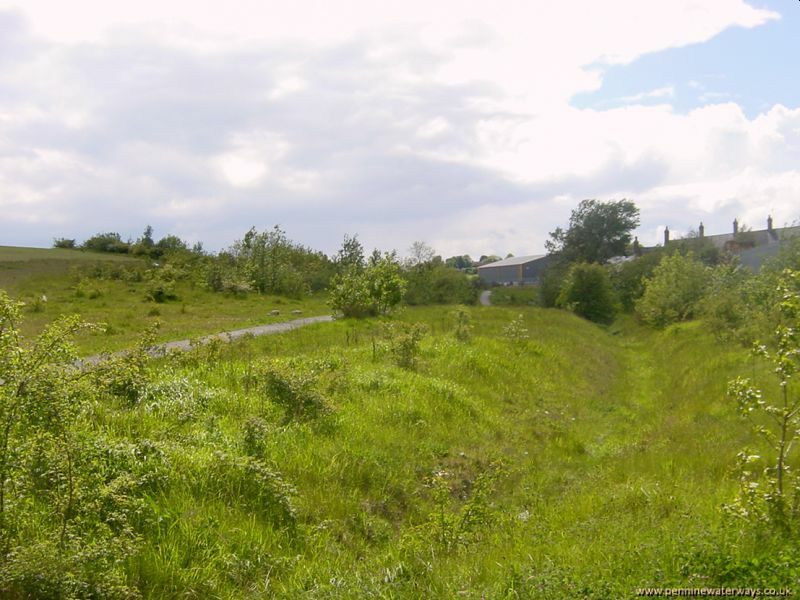 Looking south towards the site of the former Far Field Bridge and the glassworks that were built alongside the course of the canal. 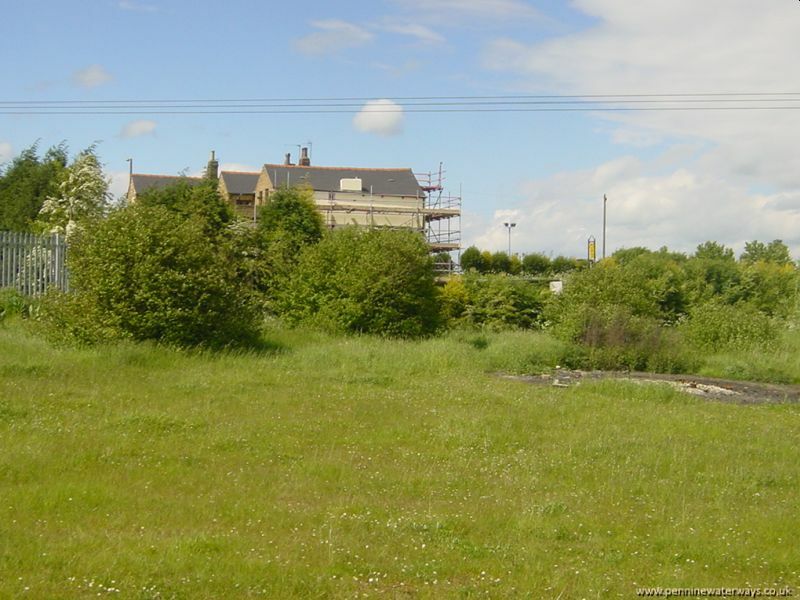 Looking north from the site of Burton Bridge, Monk Bretton. The route of the canal ran across what is now a car park, then curved to the right, following the contour. Redfearn's Glass Works were built here, replacing their earlier works alongside the canal near Harborough Hills Bridge in Barnsley. 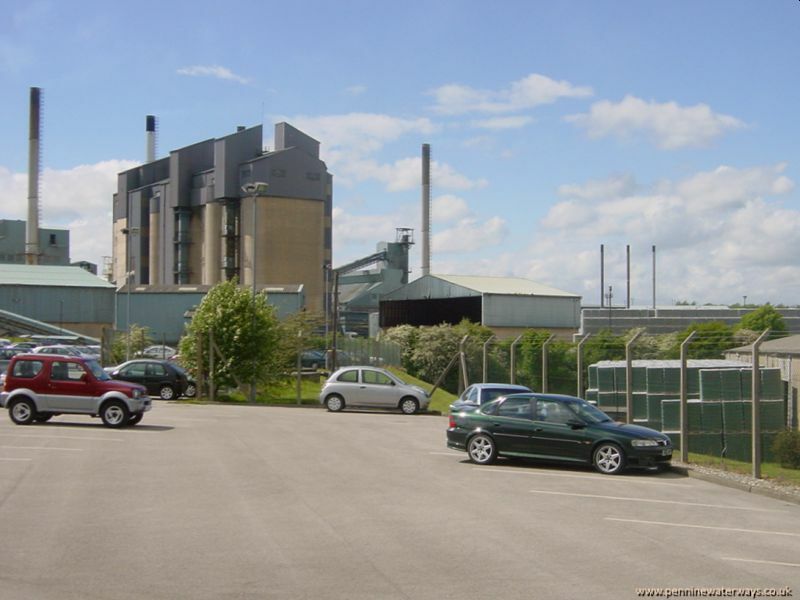 The operation became part of the Rexam food packaging group and has now been sold to Ardagh Glass. 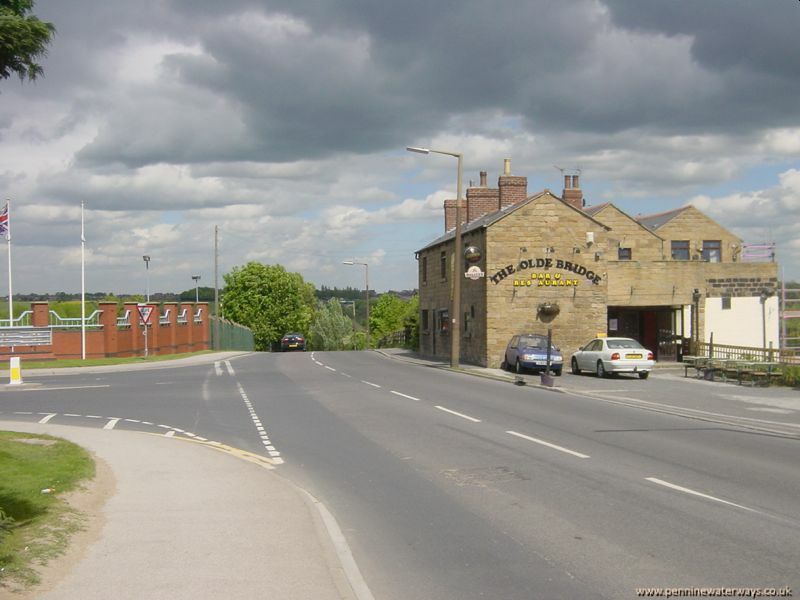 The site of Burton Bridge is shown by the slight rise in Burton Road, east of Monk Bretton, although a bigger clue is in the pub name - The Old Bridge. Looking back to The Old Bridge pub. The line of the canal ran from the left of the picture, in front of where the fence now is, round to the right of the pub. The area between Burton Lane and Littleworth Lane has also been re-claimed and the contours altered. The line of the canal ran along the line of this ditch along the edge of the re-claimed area.